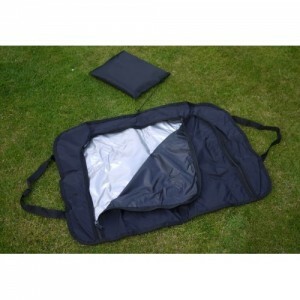 The Buck Bag has been developed for those folk not wanting to use a traditional carcass tray. Stalkers who are paying for accompanied outings often want to take a beast home so the Buck Bag is ideal for transporting deer in a car or 4x4 boot space & keeps the area clean. The bag is leak proof to prevent blood spillage. Bag size has been designed to accommodate small deer. The Buck Bag has NOT been designed as a Drag Bag or a Cool Bag.